Fiddlers Ferry Power Station is a coal fired power station located in Warrington, Cheshire, in North West England, which is capable of co-firing biomass. 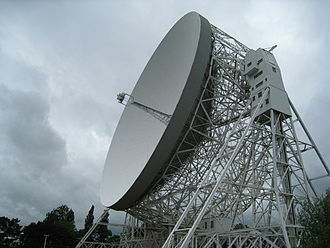 It is situated on the north bank of the River Mersey between the towns of Widnes and Warrington. Opened in 1971, the station has a generating capacity of 1,989 megawatts (MW). In a bid to combine efforts at the design and construction stages the Boiler and Turbo-generator plant were replicated at West Burton power station located between Retford and Gainsborough in North Nottinghamshire. Since the privatisation of the Central Electricity Generating Board in 1990, the station has been operated by various companies. Since 2004, Scottish and Southern Energy plc have operated the station. With its eight 114-metre (374 ft) high cooling towers and 200-metre (660 ft) high chimney the station is a prominent landmark and can be seen from as far away as the Peak District and the Pennines. Fiddlers Ferry power station was built by the Cleveland Bridge Company and came into full operation in 1973. One of the station's cooling towers collapsed in high winds on 13 January 1984. It has since been rebuilt. There are eight cooling towers arranged in two groups of four located to the north and south of the main building. There is a single chimney located to the east of the main building. The station was built by the CEGB but was transferred to Powergen PLC after privatisation of the UK's electricity industry in 1990. Fiddlers Ferry, along with Ferrybridge Power Station in Yorkshire, was then sold to Edison Mission Energy in 1999. They were then sold on to AEP Energy Services Ltd in 2001, and both were sold again in July 2004 to Scottish and Southern Energy (SSE) for £136 million. When it was built, the station mainly burned coal mined in the South Yorkshire Coalfield and transported across the Pennines on the Manchester-Sheffield-Wath electric railway. Today, all coal for the station is imported. SSE announced in February 2016 that it intended to close three of the four units at the plant by 1 April 2016. However, secured a 12-month contract in April 2016. The station generates electricity using four 500 MW generating sets. The station consumes 195 million litres of water daily from the River Mersey. All its coal is imported, and transported by train. At full capacity, 16,000 tonnes of coal were burned each day. It also burns biofuels together with the coal. The station is supplied with coal via a branch off the adjacent Timperley and Garston railway line. Rail facilities include an east-facing junction on the mainline controlled by a signal box, two hopper approach tracks, gross-weight and tare-weight weighbridges, coal track hoppers, a fly ash siding, a gypsum loading plant and a control building. Fiddlers Ferry has been fitted with Flue Gas Desulphurisation (FGD) plant to reduce the emissions of sulphur by 94%, meeting the European Large Combustion Plant Directive. This work commenced in 2006 and was completed in 2008. As of March 2010, the station was being considered for the installation of selective catalytic reduction (SCR) equipment. This would reduce the station's emissions of nitrogen oxides, to meet the requirements of the Industrial Emissions (Integrated Pollution Prevention and Control) Directive, which must be implemented by 2016. 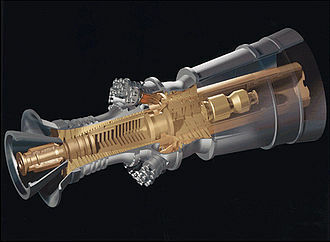 The SCR technology would replace the Separated Over Fire Air (SOFA) technology currently used in the station. On 18 November 2015 Amber Rudd the Minister in charge of the Department of Energy and Climate Change proposed that the UK's remaining coal-fired power stations will be shut by 2025 with their use restricted by 2023. In March 2017, the power station secured a contract to provide electricity until September 2018. At this point, the power station employed 160 people, down from 213 the previous year. As of February 2018, the station had agreements to supply electricity until September 2019. ^ a b c d "Fiddlers Ferry Power Station" (PDF). p. 2. Archived from the original (PDF) on 24 September 2006. Retrieved 25 February 2009. ^ "A – Z list of Bridges Built by Cleveland Bridge Company". 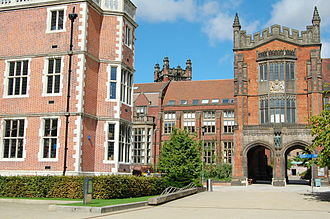 Newcastle University. Archived from the original on 27 May 2003. Retrieved 18 April 2011. ^ Sheail, John (1991). Power in Trust. Oxford: Clarendon Press. p. 214. ISBN 0-19-854673-4. ^ Clough, David N. (August 1983). "The road to Fiddler's Ferry". Rail Enthusiast. EMAP National Publications. pp. 14, 23–24. ISSN 0262-561X. OCLC 49957965. ^ Jacobs, Gerald (1990). London Midland Region Track Diagrams. Exeter: Quail. pp. 38B. ISBN 0900609745. ^ "North Midland Construction". Archived from the original on 18 October 2008. ^ Fineren, Daniel (6 January 2009). "SSE says Fiddler's Ferry upgrade complete". Reuters. Retrieved 31 January 2011. Wikimedia Commons has media related to Fiddlers Ferry Power Station. The Pennines /ˈpɛnaɪnz/, known as the Pennine Chain or Pennine Hills, are a range of mountains and hills in Northern England separating North West England from Yorkshire and North East England. The Pennines are an important water catchment area with numerous reservoirs in the streams of the river valleys. 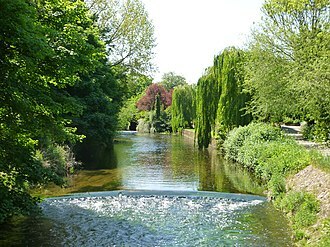 The region is considered to be one of the most scenic areas of the United Kingdom. 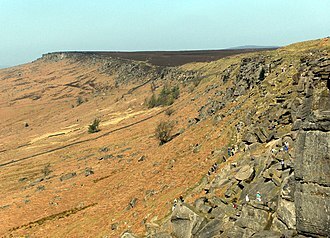 The North Pennines and Nidderdale are designated Areas of Outstanding Natural Beauty, as are Bowland, parts of the Pennines are incorporated into the Peak District National Park, the Yorkshire Dales National Park and the Northumberland National Park. Britains oldest long-distance footpath, the Pennine Way, runs along most of the Pennine Chain and is 268 miles long, various etymologies have been proposed treating Pennine as though it were a native Brittonic/Modern Welsh name related to pen-. He found that the derivation from Bertram was widely believed and considered uncomfortable, in fact, he found repeated comparisons going back at least as early as Camden, many of whose placenames and ideas Bertram incorporated into his work. Bertram was responsible with popularizing the name against other such as Daniel Defoes English Andes. His own form of the name was the Pennine Alps, which today is used for a section of the continental Alps. Those mountains derive their name from the Latin Alpes Pœninæ, the St Bernard Pass whose name has been derived from the Carthaginians, a local god. This was the used in the invasions of Italy by the Gallic Boii. Various towns and geographical features within the Pennines retain Celtic names, including Penrith, the fell Pen-y-ghent, the River Eden, more commonly, local names result from Anglo-Saxon and Norse settlements. In Yorkshire and Cumbria, many words of Norse origin, not commonly used in standard English, are part of speech, for example, gill/ghyll, fell. This is located within parts of Cumbria, southern parts of Northumberland. This is within parts of Yorkshire and eastern parts of Derbyshire with foothills continuing into western parts of Nottinghamshire. This is within the Stoke-on-Trent conurbation of northern Staffordshire and the parts of Derbyshire above the city of Derby. Electricity generation is the process of generating electric power from sources of primary energy. For electric utilities, it is the first process in the delivery of electricity to consumers, the other processes as transmission, energy storage and recovery using pumped-storage methods are normally carried out by the electric power industry. Other energy sources include solar photovoltaics and geothermal power, the fundamental principles of electricity generation were discovered during the 1820s and early 1830s by the British scientist Michael Faraday. This method is used today, electricity is generated by the movement of a loop of wire. Central power stations became practical with the development of alternating current power transmission, using power transformers to transmit power at high voltage. Electricity has been generated at central stations since 1882, the use of power-lines and power-poles have been significantly important in the distribution of electricity. There are seven fundamental methods of transforming other forms of energy into electrical energy. Static electricity, form the physical separation and transport of charge and it was the first form discovered and investigated, and the electrostatic generator is still used even in modern devices such as the Van de Graaff generator and MHD generators. In Electromagnetic induction, a generator, dynamo or alternator transforms kinetic energy into electricity. This is the most used form for generating electricity and is based on Faradays law and it can be experimented by rotating a magnet within closed loops of a conducting material. Almost all commercial electrical generation is done using electromagnetic induction, in mechanical energy forces a generator to rotate. Almost all electrical power on Earth is generated with a turbine, driven by wind, there are many different methods of developing mechanical energy, including heat engines, hydro and tidal power. Most electric generation is driven by heat engines, the combustion of fossil fuels supplies most of the heat to these engines, with a significant fraction from nuclear fission and some from renewable sources. Selective catalytic reduction is a means of converting nitrogen oxides, referred to as NOx with the aid of a catalyst into diatomic nitrogen, and water. A gaseous reductant, typically anhydrous ammonia, aqueous ammonia or urea, is added to a stream of flue or exhaust gas and is adsorbed onto a catalyst, carbon dioxide, CO2 is a reaction product when urea is used as the reductant. Selective catalytic reduction of NOx using ammonia as the agent was patented in the United States by the Engelhard Corporation in 1957. Development of SCR technology continued in Japan and the US in the early 1960s with research focusing on less expensive, the first large-scale SCR was installed by the IHI Corporation in 1978. Commercial selective catalytic reduction systems are found on large utility boilers, industrial boilers. 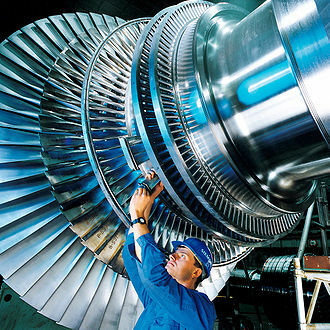 More recent applications include diesel engines, such as found on large ships, diesel locomotives, gas turbines. The NOx reduction reaction takes place as the pass through the catalyst chamber. Before entering the catalyst chamber the ammonia, or other reductant, is injected and mixed with the gases, the minimum effective temperature depends on the various fuels, gas constituents, and catalyst geometry. 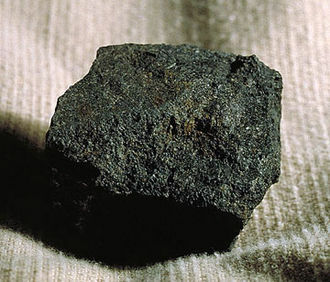 Other possible reductants include cyanuric acid and ammonium sulfate, another catalyst based on activated carbon was developed which is applicable for the removal of NOx at low temperatures. Each catalyst component has advantages and disadvantages, thermal durability is particularly important for automotive SCR applications that incorporate the use of a diesel particulate filter with forced regeneration. They have a high catalysing potential to oxidize SO2 into SO3, zeolites have a lower potential for potentially damaging SO2 oxidation. Iron- and copper-exchanged zeolite urea SCRs have been developed with equal performance to that of vanadium-urea SCRs if the fraction of the NO2 is 20% to 50% of the total NOx. The two most common designs of SCR catalyst geometry used today are honeycomb and plate, the honeycomb form usually is an extruded ceramic applied homogeneously throughout the ceramic carrier or coated on the substrate. Widnes is an industrial town in the unitary authority of Halton and the ceremonial county of Cheshire in Northwest England. 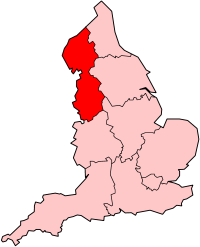 In 2011 it had a population of 60,221, historically in Lancashire, it is on the northern bank of the River Mersey where the estuary narrows to form the Runcorn Gap. Directly to the south across the Mersey is the town of Runcorn, upstream and 8 miles to the east is the town of Warrington, and downstream to the west is Speke, part of the city of Liverpool. Before the Industrial Revolution Widnes was made up of settlements on marsh. In 1847, the first chemical factory was established and the town became a major centre of the chemical industry. The demand for labour was met by large-scale immigration from Ireland, Lithuania, the town continues to be a major manufacturer of chemicals. Widnes and Hough Green railway stations are on the Liverpool to Manchester line, the main roads through the town are the A557 in a north–south direction and the A562 east–west. The disused Sankey Canal terminates in a known as Spike Island. Earlier spellings of the name have been Vidnes and Wydness, there is little evidence of any early human occupation of the area although a flint arrowhead was discovered at Pex Hill, suggesting there was some human presence in the Stone Age. 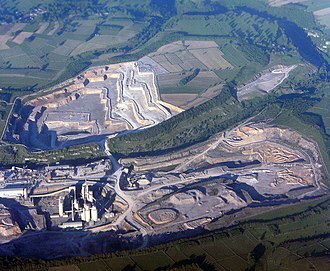 Pex Hill is a quarry, located to the north of the town. Roman roads by-passed the area but some Roman coins were found where the Ditton railway station stands today, in the 9th century Vikings had invaded the country and Widnes was at the extreme south of the Danelaw. The River Mersey derives its name from the Anglo-Saxon maeres ea, which means boundary river, following the Norman conquest, William the Conqueror granted the Earldom of Lancaster to Roger de Poictou who in turn granted the barony of Widnes to Yorfrid. Yorfrid had no sons and his daughter married William FitzNigel. On Yorfrids death the barony of Widnes passed to that of Halton, the current St. Lukes, a Norman church, was built in Farnworth. Its date of origin is uncertain but it is likely to be around 1180, in 1500 the South Chapel was added to the church and in 1507 a grammar school was established in Farnworth, both were endowments from Bishop William Smyth. American Electric Power is a major investor-owned electric utility in the United States, delivering electricity to more than five million customers in 11 states. AEP ranks among the nations largest generators of electricity, owning nearly 38,000 megawatts of generating capacity in the U. S. States and eastern Canada, and approximately 11 percent of the electricity demand in Electric Reliability Council of Texas, the transmission system that covers much of Texas. AEPs utility units operate as AEP Ohio, AEP Texas, Appalachian Power, Indiana Michigan Power, Kentucky Power, Public Service Company of Oklahoma, AEPs headquarters are in Columbus, Ohio. American Electric Power was the first utility to utilize 345 kV transmission lines which took place in 1953, AEP has come under criticism in many of the states they operate in for attacking rooftop solar. They have specifically attempted to halt distributed solar in Louisiana, Oklahoma, West Virginia, Kentucky, the company is divided into seven major geographic local operating companies, AEP Ohio serves 1.5 million customers in central and northwestern Ohio. For years, it consisted of two operating companies, Ohio Power and Columbus Southern Power, however, in 2014, Columbus Southern was merged into Ohio Power, leaving Ohio Power as the legal operating company for regulatory purposes. AEP Texas was formed from a merger of various predecessor utilities and it consists of AEP Texas North Company, which operates in west Texas, and AEP Texas Central Company, which operates in south Texas. Appalachian Power is based in Charleston, West Virginia and owns the rights to Appalachian Power Park in Charleston. AP serves about one million customers in parts of central and Southern West Virginia, Southwest Virginia and parts of Northeast Tennessee, cities in the Appalachian Power service territory include Charleston and Huntington, West Virginia, Roanoke and Kingsport. Until the 21st century, AEPs operations in Tennessee were part of an operating company. While Kingsport Power still legally exists, the Kingsport Power name is almost never used anymore except for regulatory formality. The River Mersey /ˈmɜːrzi/ is a river in the north west of England. Its name is derived from the Anglo-Saxon language and translates as boundary river, the river may have been the border between the ancient kingdoms of Mercia and Northumbria and for centuries it formed part of the boundary between the historic counties of Lancashire and Cheshire. 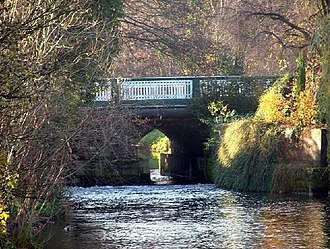 The start of the Mersey is at the confluence of the River Tame and it flows westwards through the suburban areas of south Manchester, into the Manchester Ship Canal at Irlam, becoming a part of the canal and maintaining the canals water levels. After 4 miles the river exits the canal flowing towards Warrington where the river widens before it narrows as it passes between the towns of Runcorn and Widnes. From Runcorn the river widens into an estuary, which is 3 miles wide at its widest point near Ellesmere Port. The course of the heads north as the estuary narrows between Liverpool and Birkenhead on the Wirral Peninsula to the west and empties into Liverpool Bay. In total the river flows 70.33 miles, a railway tunnel between Birkenhead and Liverpool as part of the Mersey Railway opened in 1886. Two road tunnels pass under the estuary from Liverpool, the Queensway Tunnel opened in 1934 connecting the city to Birkenhead, the Silver Jubilee Bridge completed in 1961, crosses between Runcorn and Widnes, adjacent to the Runcorn Railway Bridge which opened in 1868. Water quality in the Mersey was severely affected by industrialisation, and in 1985, in 2009 it was announced that the river is cleaner than at any time since the industrial revolution and is now considered one of the cleanest in the UK. 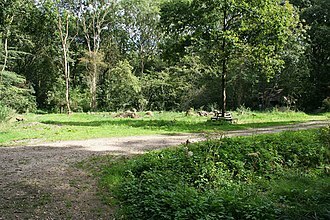 The Mersey Valley Countryside Warden Service manages local nature reserves such as Chorlton Ees, the river gave its name to Merseybeat, developed by bands from Liverpool, notably the Beatles. In 1965 it was the subject of the hit single Ferry Cross the Mersey by Gerry. Its name is derived from the Anglo-Saxon mǣres, of a boundary and ēa, the Mersey was possibly the border river between Mercia and Northumbria. 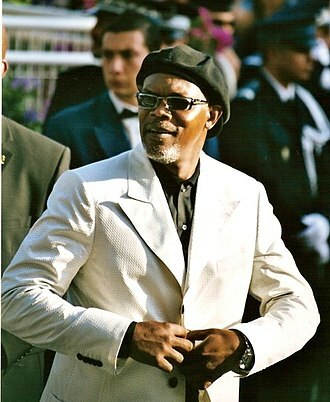 Reuters /ˈrɔɪtərz/ is an international news agency headquartered in London, England. It is a division of Thomson Reuters, until 2008, the Reuters news agency formed part of an independent company, Reuters Group plc, which was a provider of financial market data. Since the acquisition of Reuters Group by the Thomson Corporation in 2008, Reuters transmits news in English, Arabic, German, Portuguese, Japanese, Korean and Chinese. The Reuter agency was established in 1851 by Paul Julius Reuter in Britain at the London Royal Exchange, Paul Reuter worked at a book-publishing firm in Berlin and was involved in distributing radical pamphlets at the beginning of the Revolutions in 1848. Upon moving to England, he founded Reuters Telegram Company in 1851, headquartered in London, the company initially covered commercial news, serving banks, brokerage houses, and business firms. The first newspaper client to subscribe was the London Morning Advertiser in 1858, Reuters agency built a reputation in Europe and the rest of the world as the first to report news scoops from abroad. 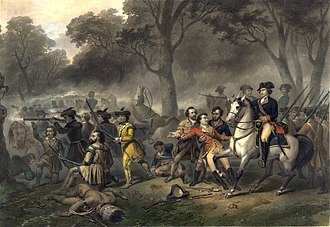 Reuters was the first to report Abraham Lincolns assassination in Europe, for instance, in 1872, Reuters expanded into the far east, followed by South America in 1874. Both expansions were made possible by advances in overland telegraphs and undersea cables, in 1883, Reuters began transmitting messages electrically to London newspapers. In 1923, Reuters began using radio to transmit news internationally, in 1925, The Press Association of Great Britain acquired a majority interest in Reuters, and full owners some years later. During the world wars, The Guardian reported that Reuters came under pressure from the British government to national interests. In 1941 Reuters deflected the pressure by restructuring itself as a private company, the new owners formed the Reuters Trust. In 1941, the PA sold half of Reuters to the Newspaper Proprieters Association, the Reuters Trust Principles were put in place to maintain the companys independence. At that point, Reuters had become one of the major news agencies. A fossil fuel power station is a power station which burns fossil fuel such as coal, natural gas, or petroleum to produce electricity. Central station fossil fuel power plants are designed on a scale for continuous operation. In many countries, such plants provide most of the energy used. Fossil fuel power stations have machinery to convert the energy of combustion into mechanical energy. The prime mover may be a steam turbine, a gas turbine or, in small plants, all plants use the energy extracted from expanding gas, either steam or combustion gases. 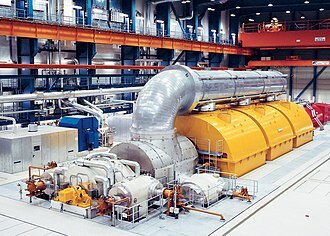 Very few MHD generators have been built which directly convert the energy of moving hot gas into electricity, by products of thermal power plant operation must be considered in their design and operation. The flue gas from combustion of the fuels is discharged to the air. This gas contains carbon dioxide and water vapor, as well as other such as nitrogen oxides, sulfur oxides, traces of other metals. Solid waste ash from coal-fired boilers must be removed, some coal ash can be recycled for building materials. Fossil fueled power stations are major emitters of carbon dioxide, a gas which according to a consensus opinion of scientific organisations is a contributor to global warming. S. From a single coal-fired power plant, however, as of 2015, no such cases have awarded damages in the U. S. Per unit of energy, brown coal emits nearly two times as much CO2 as natural gas, and black coal emits somewhat less than brown. Carbon capture and storage of emissions is not currently available, each fossil fuel power plant is a complex, custom-designed system. 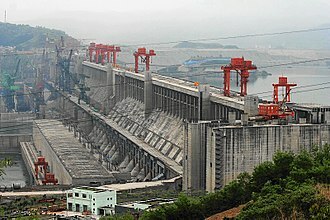 Construction costs, as of 2004, run to US$1,300 per kilowatt, multiple generating units may be built at a single site for more efficient use of land, natural resources and labor. Most thermal power stations in the world use fossil fuel, outnumbering nuclear, biomass, the second law of thermodynamics states that any closed-loop cycle can only convert a fraction of the heat produced during combustion into mechanical work. The rest of the heat, called heat, must be released into a cooler environment during the return portion of the cycle. The 5,400 MW Bełchatów Power Station in Poland – one of the world's largest coal-fired power stations. 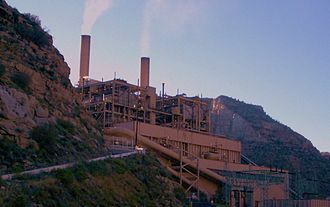 Currant Creek Power Plant near Mona, Utah is a natural gas fired electrical plant. Coal-fired power plants provide about 32 percent of consumed electricity in the United States, As of September 2017. This is the Castle Gate Plant near Helper, Utah. A resident of Knutsford sanding the street in celebration of May Day 1920. The custom continues to this day. An aerial image of the estuary in 1962. The King's Gate building hosts student and administrative services and was built in 2009. Sir Liam Donaldson robed as Chancellor of Newcastle University. A Scottish and Southern Energy van, 2011. Commissioning of a conveyor where equipment is being tested to its maximum rating and capacity of operation.